Pre-Order from Carolina Patchworks. Estimated ship date: late October 2018 (this date will be updated once an exact date is known and is based on timelines for previous books). 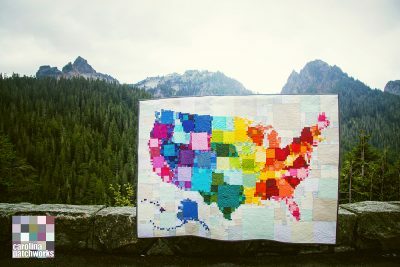 Pre-Order from Carolina Patchworks on Etsy. Cheater Panels! Available through Spoonflower. In yard and fat-quarter sizes. 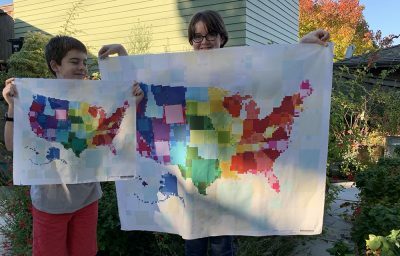 Make sure the full panel is set to print on a full yard of fabric and the fat-quarter size to print on fat-quarters for the designs to print correctly. 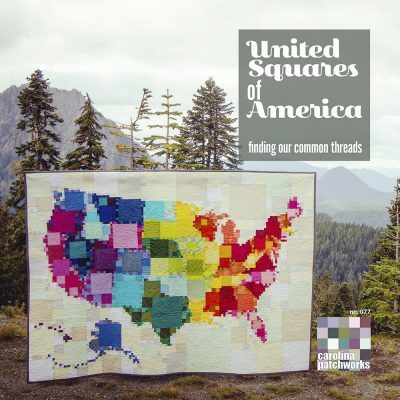 Welcome to the United Squares of America! Pack your bags, throw together a playlist and head out on the ultimate American road trip. 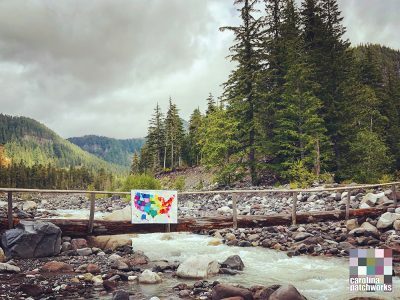 We’ll drive through 54 pages and piece each of our 50 states, from Olympic National Park to Everglades National Park. 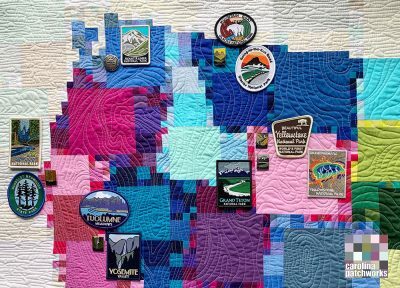 Along the way we’ll visit many little squares — so many little squares — and stitch from sea to shining sea. 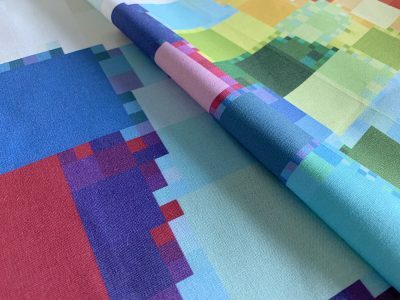 It may look overwhelming, with a million different fabrics cut into a menagerie of sizes of square before being reassembled in a complicated jigsaw, but it is actually pretty simple to piece. Perhaps a bit time consuming. E Pluribus Unum Quadrangulum: Out of many little squares, one. 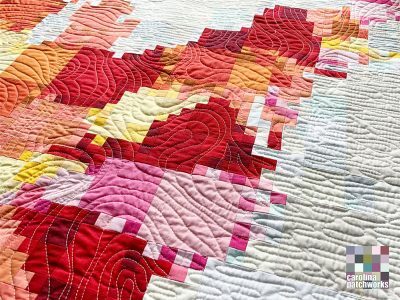 Finished quilt measures 70″ x 50″.